In this article we would like to present you the main wood flooring trends which are becoming more and more popular in the last few years. It is popular nowadays to install wooden floors not only in the dining room, or living rooms as it has been done in the past. As a result, lots of people decide to use wooden floors in children rooms, halls, anterooms and many other rooms in a house. Most frequent uses of wooden floors include now hardwood and engineered floors – the two most reliable and effective flooring materials for each residential space. It is the best choice because these two types can easily be sanded and re-sanded after some time to bring them back to their natural beauty. In terms of colours most people decide on dark or light ones – both of the two provide an excellent outlook and some touches of the minimalism. One of the most attractive and often used wood flooring methods includes scraping of the floor finish by hands. Such hand-scraping provides great outlook effects of rustic-kind. These are the most frequently used methods of installing and fitting the floor in each type of a house room or space. Our company of flooring professionals have already realised many of such wooden floor installation and fitting services. 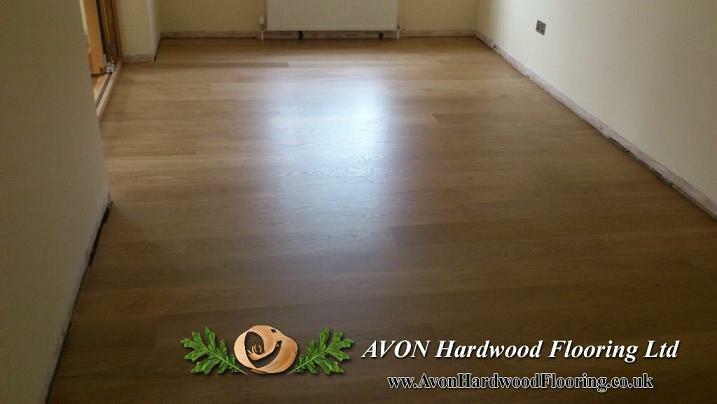 We are based in Bristol and offer fully professional and all-inclusive flooring services for all kinds of floors: parquets, engineers floors, hardwood floors, engineered floors and many others.